Introducing a heroine unlike any other . . .
FBI Agent Bernadette Saint Clare’s gift of sight allows her to see things others can’t. But some things are better left unseen. Not always easy to work with, Agent Bernadette Saint Clare has been assigned and reassigned to FBI offices all over the country. Not long after she’s placed at a desk in the basement of the off-site St. Paul office, she’s called on to do what she does best: use personal effects found at a crime scene to see through a killer’s eyes. In some cases her sight has been astoundingly accurate; in others it has been less than perfect. The agent in charge of this case, Tony Garcia, aware of Bernadette’s spotty record, is unsure if he should follow her lead, and the tension between them makes for an uneasy alliance. To make things more complicated, she becomes involved with her new upstairs neighbor. But there’s something about him she can’t quite put her finger on—especially when he offers her a key clue to the killer’s identity. 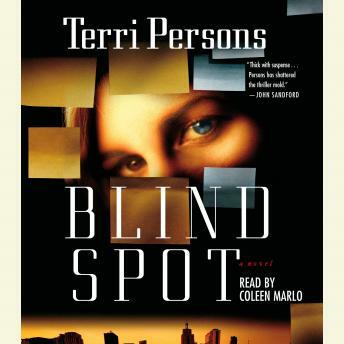 A complex novel filled with quirky characters on the right and wrong sides of the law, Blind Spot reminds us that life is filled with leaps of faith both great and small.